Book directly - best rates available. Secure booking powered by Cubilis. © Dorfschänke 2015. All rights reserved. Our guest house is quietly but centrally situated in the pretty wine village Klotten at the river Moselle. We have 15 rooms each with its own bathroom. The rooms are partly new and partly newly renovated. We have a private parking for motorbikes, cars and bicycles. A part of the parking is a covered parking. 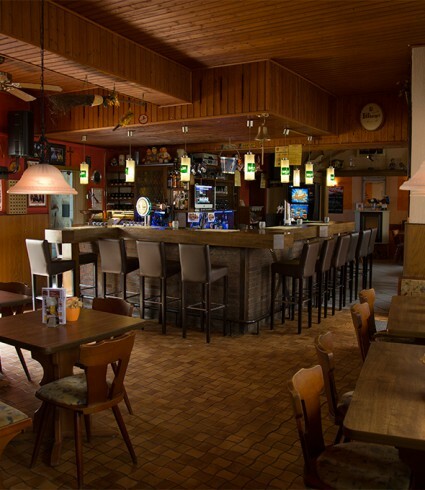 You will find "Deutsche Gemütlichkeit" in our restaurant and cozy bar. If the weather is fine you can stay on the nice terrace. Saturday night we offer entertainment. We, Christa and Bert, looking forward to welcome you to our comfortable Hotel. 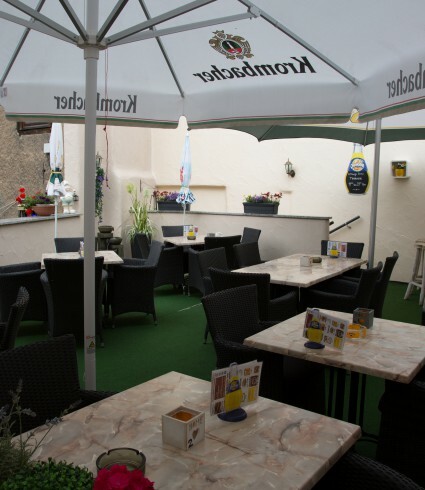 We serve a large and a small menu in our Bar -restaurant and on the terrace. We also serve Dutch snacks. Our various Mosel wines come from local vintners. We offer free Wi-Fi in the public areas as well at the rooms. The café - restaurant is open daily from 11 am. In the winter we are closed on Tuesday. The kitchen is open daily from 12 am to 9 pm. 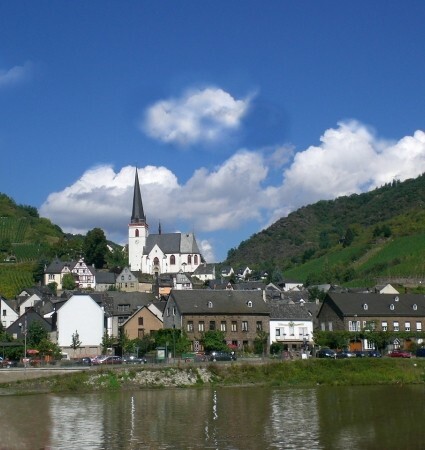 Klotten is just 3 kilometers from Cochem and 45 kilometers from Koblenz. Klotten train station can be reached within walking distance from our house. A boat trip, for instance to Beilstein, is definitely worth it. In Klotten there is a Wild and leisure park. This is great for kids but also for parents. The wildpark is also accessible by cable-lift which leaves from Cochem. 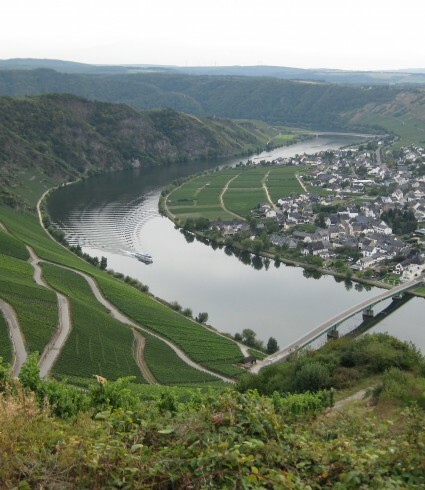 Between Trier and Koblenz winds the 544 kilometers long Moselle through a beautiful wine landscape. The Mosel valley, with its mountains and valleys, is a true paradise for motorbikers, cyclists and walkers. One of the most beautiful and best preserved castles in Germany. A visit to Eltz Castle is definitely worth it. Good food and drink in a great atmosphere. Our motto: good, not expensive and something for everyone. Free parking is available in our enclosed parking. If this parking is full, you can park for free near the hotel. Our hotel is the starting point for nice rides through the Eifel, Moselle and Hunsrück. You can park the motorbike safely at our enclosed parking.